YEREVAN, Armenia – The American University of Armenia (AUA) LL.M. 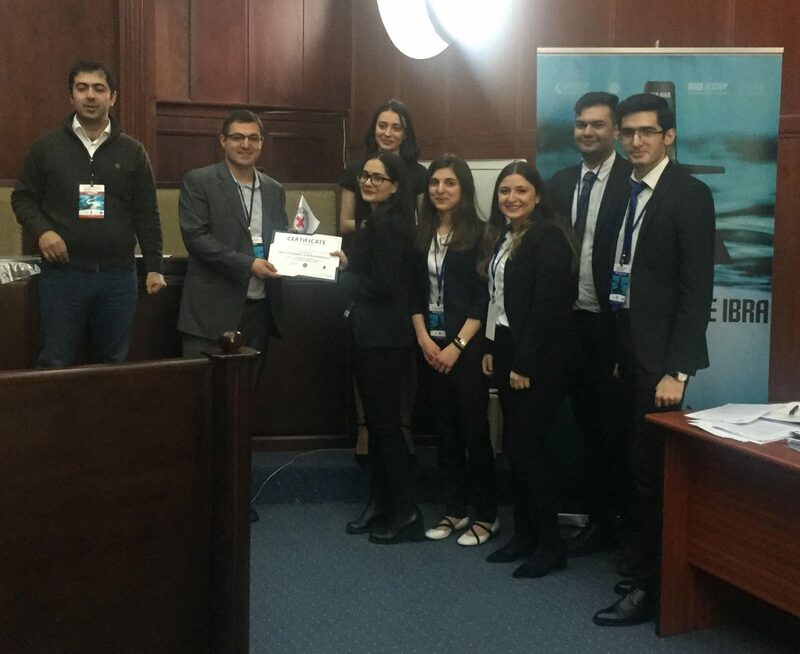 program student team, headed by their coach, Prof. Levon Gevorgyan, won in the national Qualifying Rounds of Philip C. Jessup International Law Moot Court Competition on February 17-18. 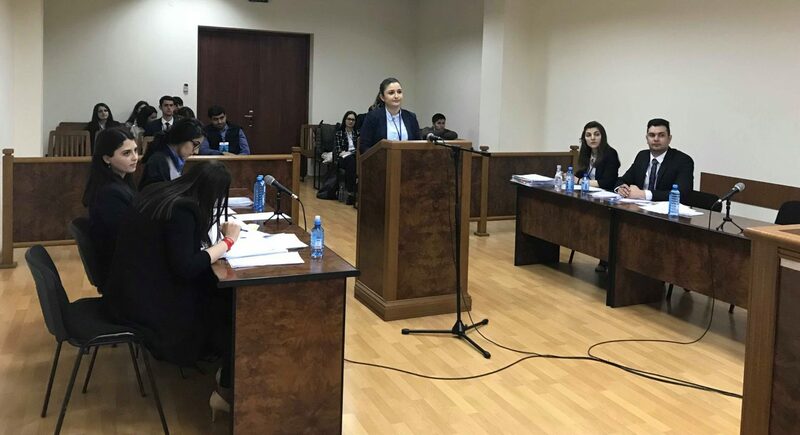 The Jessup Competition, which has international participants from 95 countries, is the largest law moot court competition in the world. The aim of the moot court competition is to resolve a fictional dispute between countries before the International Court of Justice. The AUA LL.M. 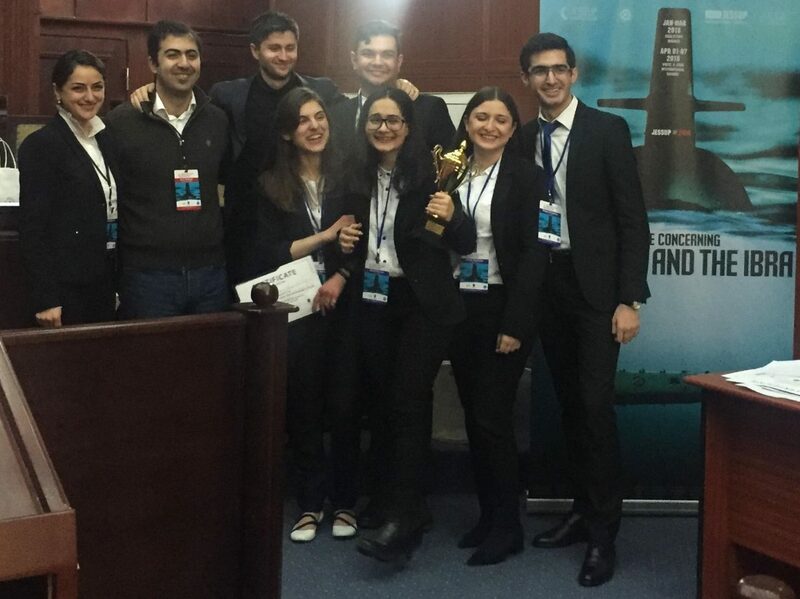 team, which won all the four matches in the Qualifying Rounds, is composed of five law students: Andrea Kajakdjian (LL.M. ’19), Ejmin Shahbazian (LL.M. ’18), Mariam Ghazaryan (LL.M. ’19), Mikayel Arzumanyan (BAB ’17, LL.M. ’19), and Monika Pirinyan (LL.M. ’19). 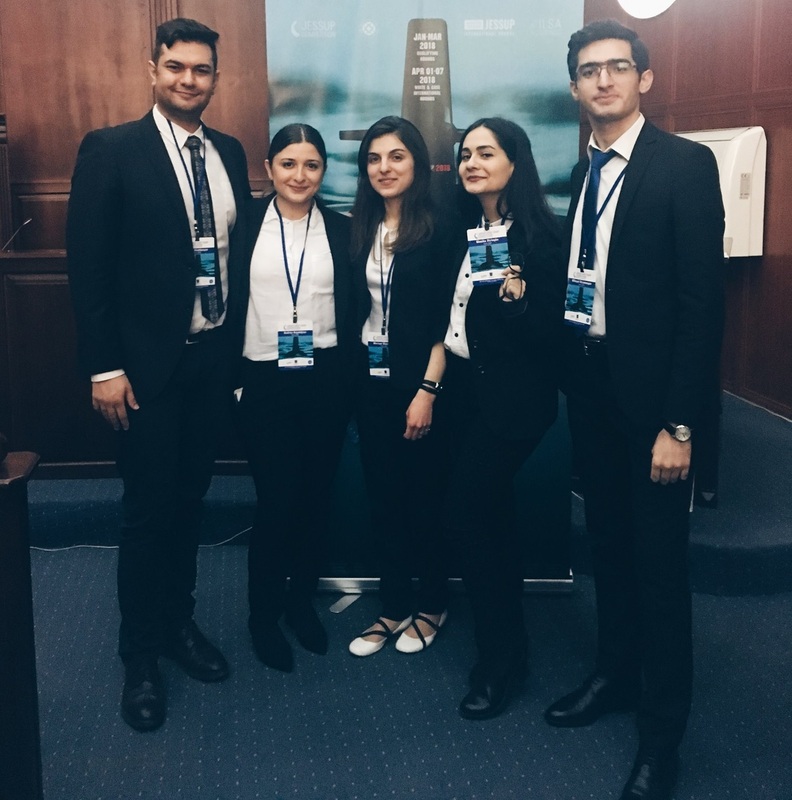 “The preparations for the competition helped me learn and put the theory of public international law to a practical use. 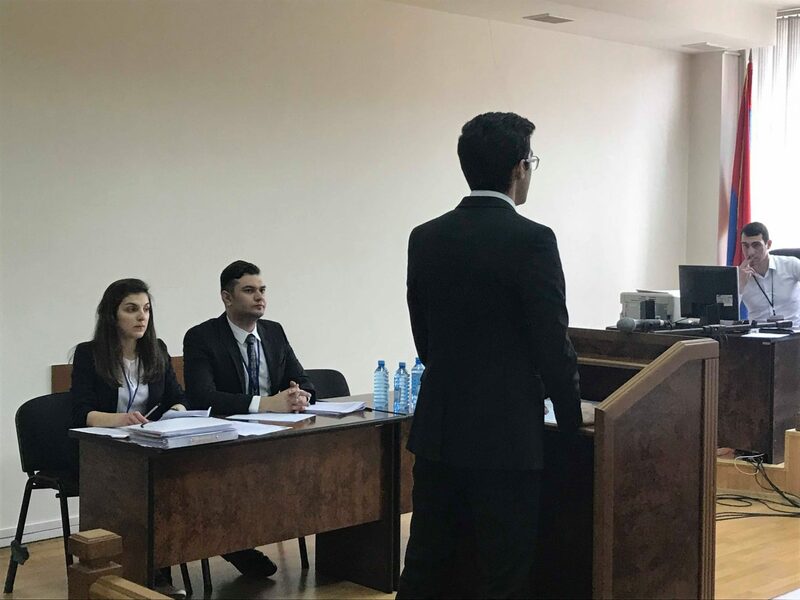 Jessup is a great experience of pleading before a court and improving legal argumentation,” Arzumanyan said. During the Qualifying Rounds the team won several awards, including “Best Memorial for the Applicant” and “Best Memorial for the Respondent”. 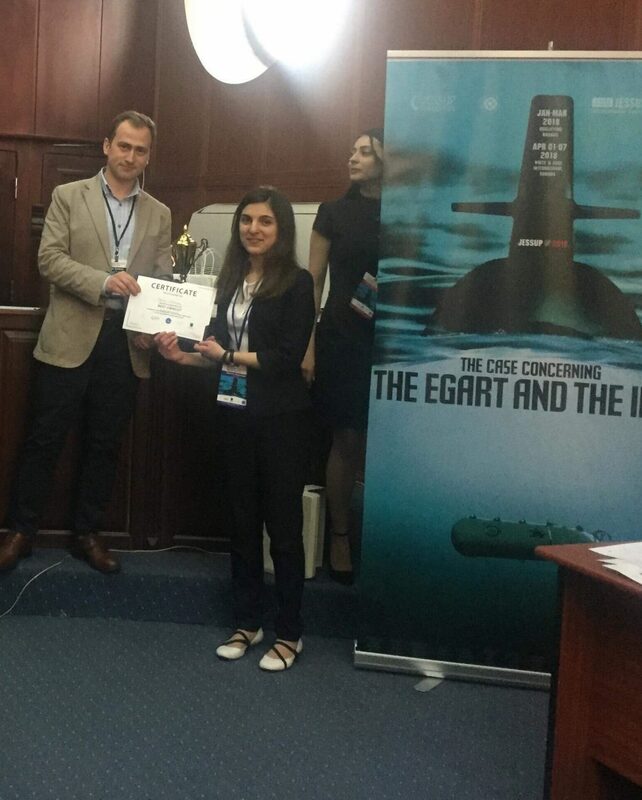 In addition, Ghazaryan won the “Best Oralist” award. “While preparing for the national round we became a family, a strongly bonded group of people. Though we had many sleepless nights, our desire to represent Armenia at the International Round kept us motivated to do our best,” Pirinyan said. 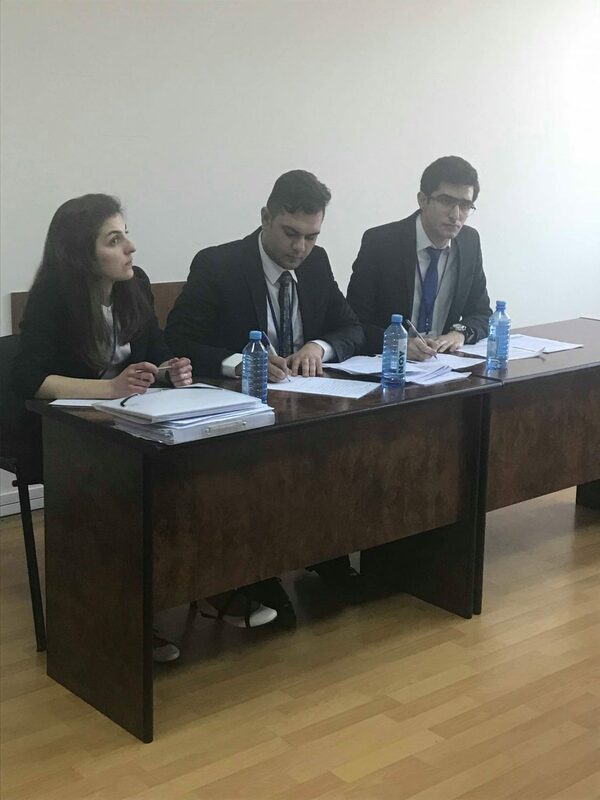 This spring the team will represent Armenia in the White & Case International Rounds of the Moot Court Competition in Washington, D.C. They have already started their preparations for the international round. “We much appreciate Program Chair Prof. Adelaida Baghdasaryan’s input in encouraging and motivating us,” Kajakdjian noted.